Post doctoral researcher at University of Barcelona: Her career is focusing on the identification of evidence that ensure the social impact of policies. Evidence-based policies and social impact. Involved in Roma women grass-roots movements. Professor at University of Rovira i Virgili, Tarragona. Researcher in the area of cooperatives, especially on the distinctive aspects of cooperative business model from the point of view of its positive contribution to the functioning of the social group and overcoming inequalities. She has participated in several research projects. She has published two books and several articles in national and international journals. Promotion of the cooperatives as an alternative business organization model that is supportive and democratic. Juan de la Cierva Fellowship at Rovira i Virgili University. Her research on SEA in Latin America and in prisons has great scientific and human relevance. Post doctoral researcher at UB: Her contribution is based on the inclusion of the voice of Roma women and the overcoming of social inequalities of this social group. Professor at University of Barcelona and expert researcher in the field of inclusive education. Her research has contributed to improve science and education. Social educator and Psycho-pedagogue. Secondary school. Successful Educational Actions in Secondary Education. President of the Odyssea Teachers’ association. Assistant professor and researcher at University of Barcelona specialized in Economy and cooperatives. She has worked in National R+D research with an impact on the business domain. Cost-effectiveness of the Learning Communities. Juan de la Cierva Fellow at the University of Barcelona, specialized in ICT. He has participated in different international research of great scientific, political and social impact like IMPACT-EV and in initiatives like the Social Impact repository SIOR. Social impact and ICT and President of the Association Men in Dialogue. Lecturer at University of Girona, specialized in migration, citizen’s participation, human rights and the labour market. He has been visiting researcher at different universities in China and the United States. Social networks and inclusion of immigrants. Professor at University of Barcelona. Her career has focused on the social inclusion within the area of Physical education; she has lead a national R+D project in this area. Successful actions in Physical education. Dialogic learning in early childhood education. Assistant professor at the University of Barcelona. His contribution focuses on the promotion of New Masculinities in High schools. New Alternative Masculinities in High School (secondary education). He belongs to the Homes en Dialeg Association. Doctor at the University of Barcelona. Lecturer and researcher at University of Barcelona. PhD by the École des Hautes Études en Sciences Sociales in Paris. She has participated in different international researchers such as INCLUD-ED, contributing to the improvement of education especially of women from cultural minorities, such as Muslim women. Dialogic literary gatherings and minority women. Professor at the Federal University of Sao Carlos, Brazil. She has worked in many international researches in the domain of education and gender. She is the main researcher in Learning Communities and Successful Educational Actions in Brazil. Transference of the Learning Communities in Brazil. Professor University of Barcelona, specialized in Mathematics. He has worked in international and national researches of great scientific prestige with social impact. He is a Spanish representative at the Commission Internationale por l’Ètude et l’Amelioriation de l’Enseingnement des Mathematiques (CIEAEM). Successful Educational Actions in Mathematics. Teacher at the University of Barcelona. Her main contribution focused on the prevention of VAW in leisure contexts such as Night clubs and she has published in JCR selected international journals such as Violence Against Women. Night clubs and preventive socialization of VAW. Professor in Sociology at University of Zaragoza. From her scientific career, her transference of Successful Educational Actions to different educational and social domains stands out. Inclusion of cultural minorities and Learning Communities. Social impact of science, SEA and NAM. Dialogic Learning and Adult Education. Professor at the University of Rovira i Virgili, Tarragona. Dialogic Literary Gatherings, family learning with vulnerable groups and Arabian women. Professor at University of Rovira i Virgili, Tarragona. Her career is focused on the inclusion of Successful Educational Actions in educational centres with socially vulnerable groups to attain their educational success. In this line, she has lead the R+D research “The improvement of coexistence and learning in educational centres of primary and secondary with migrant students”. Learning Communities and Interactive Groups. Ramon y Cajal Resaercher University of Lleida. She has been Marie Curie Fellow in Cambridge University. Her contribution has been based on the transference of successful actions based on dialogic learning in educational centres of UK with Chipe Project. Dialogic Learning and Successful Educational Actions. Juan de la Cierva Researcher at the University of Barcelona. Her contribution is based on the analysis of the educational actions that improve the participation of families and citizenship as well as the inclusion of minors from ethnic minorities. Professor at the University of Rovira i Virgili, Tarragona. He has participated in prestigious international researches such as WORKALO and INCLUD-ED. Currently coordinating a European Commission’s FP7 Marie S. Curie RISE Project. He is a key reference in communicative methodology. He is currently directing the national R+D research EDUFAM on how the training of families in educational centres improves learning and coexistence. Assistant professor at the University of Barcelona. His contribution is focused on the improvement of coexistence from the participation of young people in successful educational actions. Successful Educational Actions in Higher Education (secondary school). Professor at the University of Zaragoza. Her contribution is focused on the social transformation of gender relations. Adolescents’ models of attraction and election. Predoctoral Researcher at University of Barcelona. Postdoctoral researcher of the Rovira i Virgili University. Her scientific contribution is based on the social impact of research and in contributing to universities becoming spaces free from VAW. Social impact of research SIOR. Gender: Co-foundation of Xarxa Solidària de Víctimes de Violència de Gènere a la Universitat [Solidarity Network of Victims of Gender Violence in Universities]. Professor at University of Barcelona. Her contribution focuses on the implementation of dialogic learning in online environments and the use of communication for social transformation. She has participated in different research national and European research projects in this topic. Dialogic learning in online contexts. Teacher ad the University of Barcelona .As a Roma researcher, his contribution is focused on the social and educational success of vulnerable groups, specifically of Roma people. Member of the Roma Studies Group (CEG), Affirmative Action and socail inclusion of the Roma people in Catalonia, and member of the Educational Group at the Integrated Plan for the Roma in Catalonia of the Catalan Government. Postdoctoral researcher at Rovira i Virgili University. New Alternative Masculinities: election and attraction. Professor at University of Girona. From her career her involvement in the pioneering research about gender violence in Catalan and Spanish universities stands out. She is a member of the Editorial Board of JCR journal Violence Against Women. Plataforma Unitària contra les Violències de Gènere [Unitarian Platform against Gender Violence]. Doctorate in Sociology at University of Barcelona. Her contribution focuses on prevention in the networks of trafficking of women for sexual exploitation. Prevention in networks of trafficking of women for sexual exploitation. Teacher at University of Girona. Coexistence in the Learning Communities. Post-doctoral reseacher at University of Rovira i Virgili, Tarragona. Her international contributions to social inclusion of students with special educational needs stand out, as so does her involvement with projects of social transformation as Learning Communities. Inclusion and Special Educational Needs. Dialogic literary gatherings and cultural minorities. Professor at University of Barcelona. She has participated in different international researches with social impact. 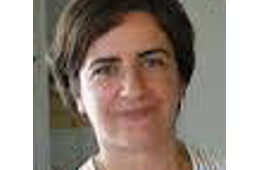 She has been the principal investigator in the R+D research of a pioneering concept that contributes to advance in the overcoming of gender violence Miratge de l’ascens social [the mirage of the upward mobility]. Mirage of Upward mobility and preventive socialization of gender violence. Professor at the University of Barcelona. She has participated in different international research of great relevance, focusing her contribution on the efficiency of democratic processes as well as the prevention of gender violence among adolescents. She has published in international different journals of great impact. Social impact and active citizenship. Professor at the Universidad Autónoma de Chile. New Alternative Masculinities in vocational training. Professor at University of Barcelona. Internationally recognised feminist for her concept of Dialogic feminism. She has recently been awarded a one-year Marie S. Curie Fellowship at Cambridge University’s Institute of Criminology (2015-2016). She has been the principal investigator of many researches with social impact in gender, author of different publications with scientific impact at international level and recognised by her involvement in the overcoming of gender violence in Universities. Dialogic model of conflict prevention. Preventive socialization of Gender Violence. Teacher and Researcher at the Autonomous University of Barcelona. Her main contribution is the prevention of sexual abuse to minors through the Internet, and from any type of online harassment, as well as on the use of communication media as tools of social transformation. Professor at the University of Ramon Llull. His contribution has based on the dialogic design of online environments as well as on the social inclusion of vulnerable groups. Dialogic online environments and social inclusion of vulnerable group. Participation of the UNESCO Network of Interreligious Dialogue. Ramon y Cajal fellow on Psychology of Memory at the Loyola Andalucía University, affiliated at the Human Neuroscience Lab. Double PhD by the University of Wisonsin-Madison (USA) as a Fulbright Scholar. Memmory and preventive Socialization of Gender Violence. Assistant professor at the University of Barcelona. She has participated in different researches with social impact and publishe in international journals. Her main contribution is based on the social inclusion in multicultural environments. Successful Actions in the inclusion of cultural groups. Lecturer at the University of Zaragoza. She was Marie Curie Postdoctoral Fellow. Leadership for Learning Academic Group. University of Cambridge. She has participated in different international research with social impact and she is currently developing the research line on dialogic leadership in educational contexts. Dialogic leadership in Learning Communities. Lecturer at the University Rovira i Virgili, Tarragona. He has contributed in diverse international R+D research projects with New Alternative Masculinities being one of the main contributions. He has published in different journals of international impact. New Alternative Masculinities and prevention of school harassment. Learning Communities Manager in Mexico.Consultant for Natura Mexico and Instituto Natura. Pre-doctoral researcher in the Science and Technology Programme at York University (Canada). Ramon y Cajal at the University of Barcelona. She has been post-doctoral fellow at the University of Edinburgh. Her main contribution has been the recovering of the historical memory of the movement of the Free Women, publishing her work in an international prestigious publishing house. Recovery of historical memory of Free Women’s movement and women of the libertarian movement. Assistant professor at University of Barcelona and secondary school teacher. Her main contribution focuses on the social inclusion of Roma women both in educational and employment domains. Adult Education and the Inclusion of Roma Women. Professor at University of Rovira i Virgili, Tarragona. She has a long career as researcher in different European projects based on the inclusion of the voices of non-academic women in diverse spaces of public debate. Doctorate in sociology at University of Barcelona. Professor of History Education at UNED. His career is based on research in history of education and social movements. He is a member of the Cultural Association Tot Història. Professor of Sociology at the UAB. PhD by Harvard University. She has participated in various international researches and published in different journals with high scientific impact. Her most important contribution is based on the inclusion of the Roma people, especially the Roma women. She has lead the R+D TRANSROMA where she analyses the transnational solidarity practices of Romanian Roma. Inclusion of the Roma people. Professor at the Universitat de Vic. PhD by the Northern Illinois University. She has participated in various international research and has published in journals of scientific impact. Her main contribution is based on the democratic education of adults as a tool for inclusion of the vulnerable group of non-academic adults. Inclusion of migrant people and labour market. Professor at University of Barcelona. She has participated in the research Learning Communities from the start and she has lead different R+D projects. Her leading role in the pioneer research on Gender Violence in Spanish Universities [Violencia de Género en las Universidades Españolas] stands outs as its results contributed to breaking the silence in universities from research. Learning Communities and Family training. Teacher and researcher of University of Deusto.